I know it feels like you just finished studying for the ACT/SAT’s and left for college, but before you know it, graduation will be looming and many students will be preparing for a graduate school. And that means preparing for your grad school exams. Getting familiar with the vast amount of programs out there would probably be a good first step. If you are considering graduate school at UCF, check to see if they have an open house. Consider visiting other college graduate programs as well. This will give you the opportunity to meet professors and ask questions about specific programs. Start talking to an advisor early to be sure you have all the correct prerequisites, shadowing or research hours you will need. Whether you are preparing for Medical or Law School or a particular graduate program, researching the continuation of your education may feel overwhelming. Finding the right concentration for you is important. Consider all of your options, including the location of schools, degrees offered, length of time to complete the degree, funding/cost, prerequisite classes testing and other requirements needed for entrance, and so on. Most graduate schools require test scores with the application. UCF helps students prepare for the GMAT, GRE, LSAT, MCAT, PCAT, DAT, OAT, TEAS, and FTCE exams. Visit UCF Continuing Education to see the many academic review programs offered; some of which are online. There’s an office of Pre-Health/Pre Law Advising for students applying to any of UCF’s graduate programs that fall under these, next to 63 South that has advisors for tests, application questions, personal statement reviews, and mock interviews. They even offer free practice tests. Students can make an appointment or simply walk in. Taking a test prep course is optional and you may not need to spend hundreds of dollars to do so. 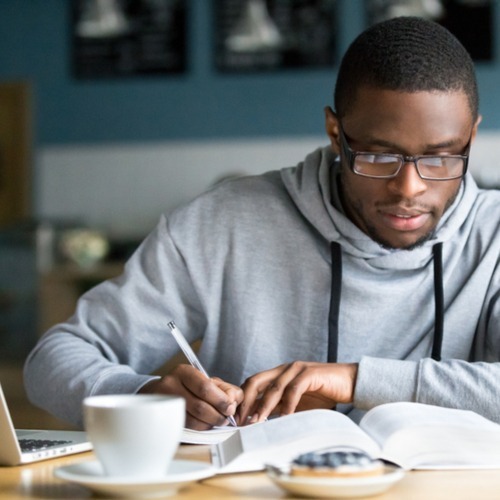 Taking a practice test a few months before the actual exam to see where to start studying will help gear how much studying you’ll need to do. By this point in college, you should have a good idea as to how you learn best. Perhaps online studying is not the best choice for you; therefore a local class or private tutoring may be a better idea. Some of the popular test prep programs are Kaplan, Magoosh, BenchPrep, The Princeton Review, Next Step Test Prep, and Manhattan Test Prep. Many are offered as online classes which allow students to study at their convenience. Some also offer private tutoring in person or online, as well as regular classes. Wyzant pairs students with tutors from around the area and could be a cheaper option; some tutors charge as little as $30 an hour. GRE- Get the ‘GRE Word of the Day’ app to help vocabulary. Sign up for the Question of the Day from Kaplan. It’s free! LSAT- Blackstone LSAT and Bar Prep is a class offered right off of University. Prepare a checklist for each school you plan to apply to. It may include GPA, resumes, test scores, letters of recommendations (LOR), personal essays, interview, etc.. Standardized tests are only one part of the application process. In addition, it may not be too soon to begin to look into scholarships or how you will finance your continuing education. Taking the GRE also costs $205 in the United States. Students need to send their transcript to each school which is an additional $15 per school. Note: Many students have claimed it impossible to send their transcripts using an Apple computer. Finally, it has become common for some students to take a year off before starting grad school. College is stressful and there is a lot of pressure to start Grad school immediately. Perhaps the year can be spent gaining experience that will add to your application or having more time to prepare. Remember, this shouldn’t be a race; it should be a marathon. Give some serious thought to taking a gap year.